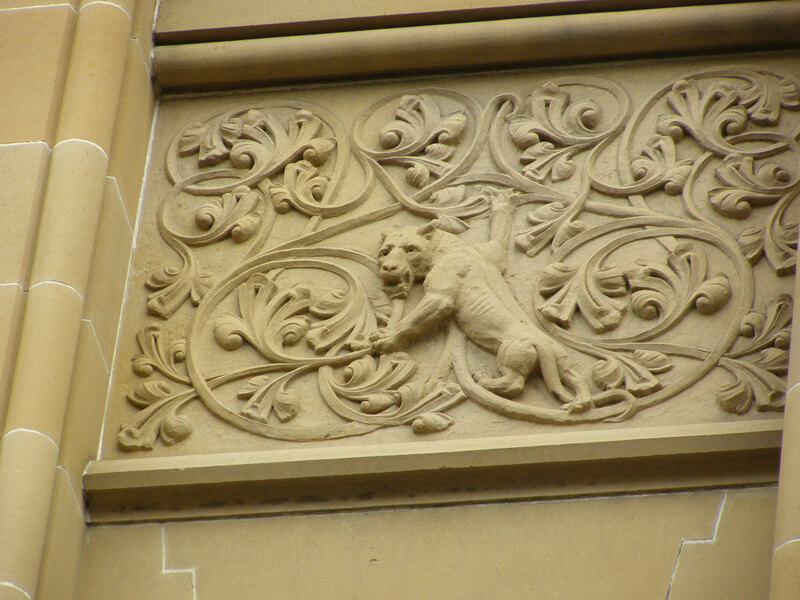 Arched windows, blind arcading, commercial architecture, heraldry, Gothic, Hobart, lion, neo-Gothic, parapet, relief sculpture, Romanesque, sculpture, shield, statue, Tas, Tasmania, tower, unicorn, Alan Cameron Walker. 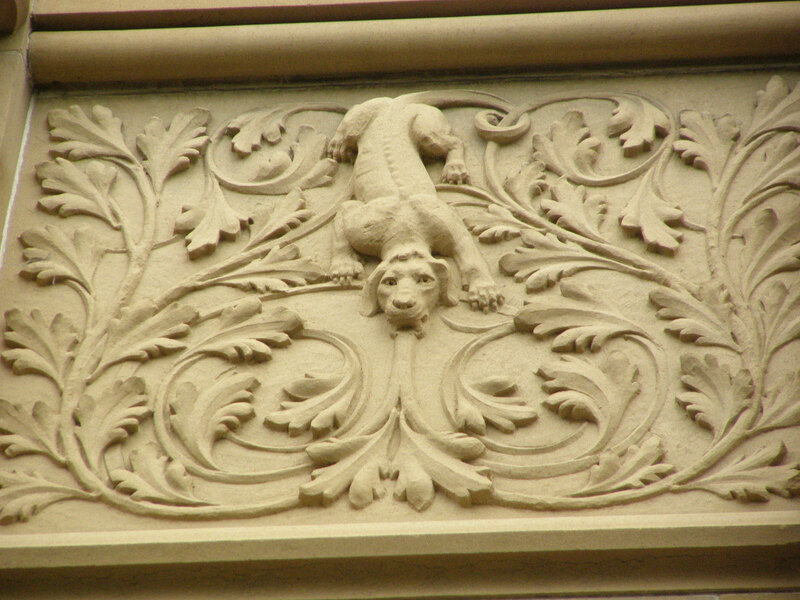 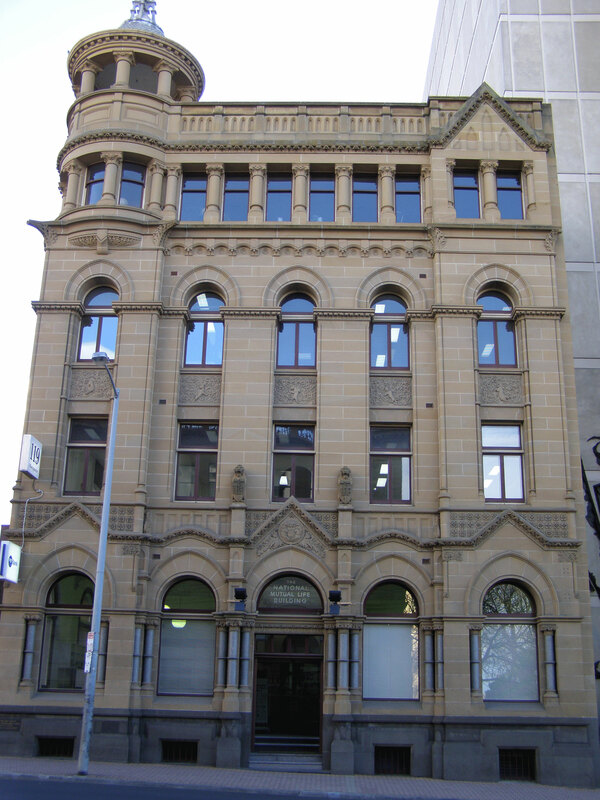 Completed in 1906, the elaborate National Mutual Life Building in Hobart, Tasmania, was designed by Hobart-born architect Alan Cameron Walker (1864-1931). 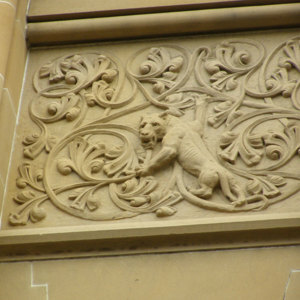 It is a mixture of Romanesque and Gothic architecture and features semi-circular windows with pointed arches above the windows, blind arcading, a parapet, and lions and dogs climbing up and down the wall between the windows of the second and third storeys. 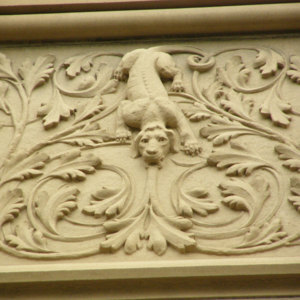 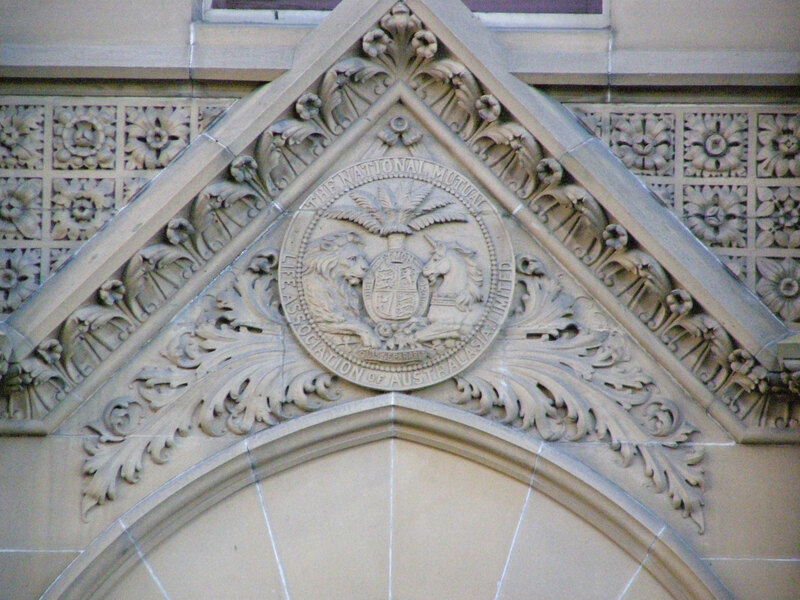 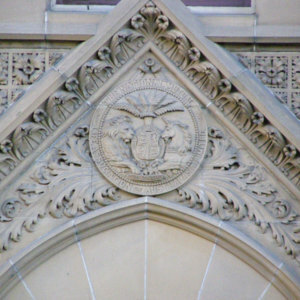 The entrance includes lion statues holding shields, and the logo of the company featuring a heraldic shield between a unicorn and lion. 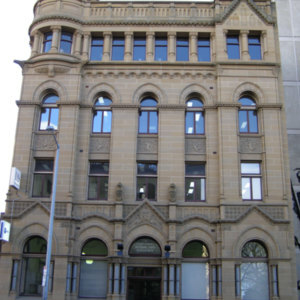 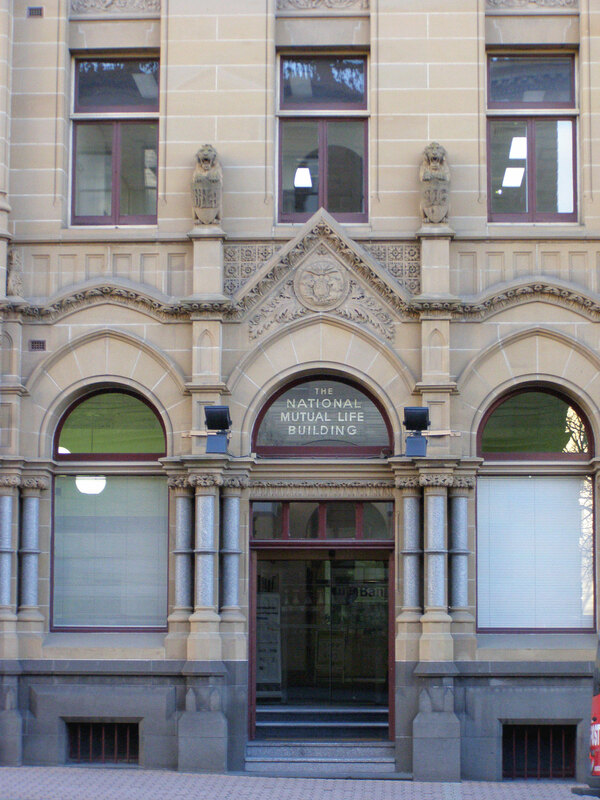 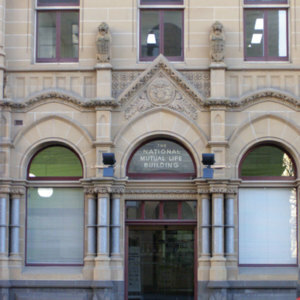 “National Mutual Life Building, Hobart, Tasmania,” Medievalism in Australian Cultural Memory, accessed April 23, 2019, http://ausmed.arts.uwa.edu.au/items/show/895.